Hytera Communications Corporation Limited is a leading global provider of Two-way Radio communications, dedicated to bringing the most valued and user-centric solutions to customers across the world. From major events such as the Beijing Olympic Games, to oil rigs in the North Sea, football stadia and construction sites, conferences & events, Hytera's professional communication solutions help people stay connected around the world. Now you can keep in touch anywhere with our consumer Push2Talk series. Innovation is a big part of our business. Our superb research and development team and state of the art manufacturing facilities ensure all Hytera products are high quality, durable and great value for money. Our Push2Talk series are no exception, featuring clever component design to ensure the walkie-talkie can handle the rough and tumble of active life, with maximum range. 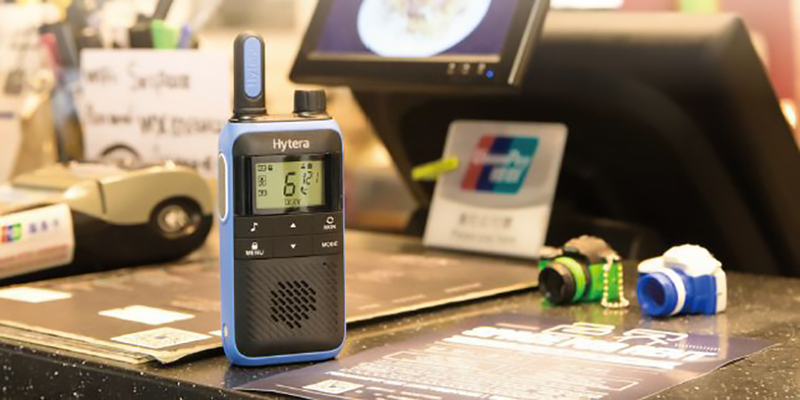 Tested, certified and ready to communicate, the Hytera Push2Talk series has been developed by the experts building on years of professional experience. Whether you're looking for a bit of fun and nostalgia chatting with the kids, or a simple communication tool for your business start-up trust Hytera Push2Talk series to keep you in touch anywhere. Please see product specification for local country certification and estimated range.